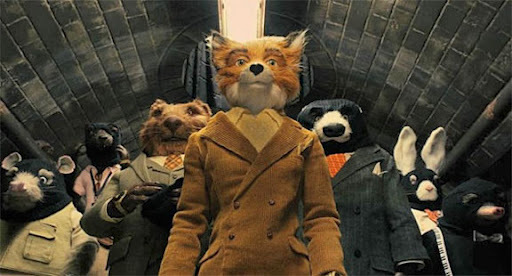 It’s pretty clear early on that Fantastic Mr. Fox is going to be a very special movie. 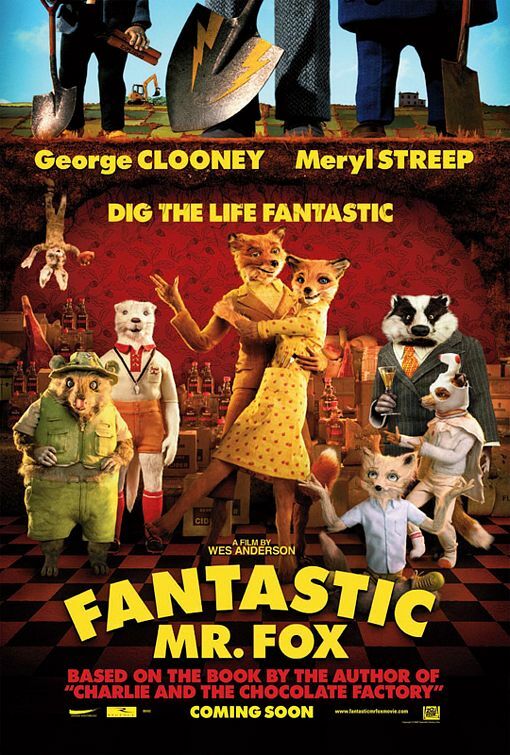 It’s during the first scene, when Mr. Fox (George Clooney) and his wife, Felicity (Meryl Streep), raid a chicken farm to the sounds of the Beach Boys, that you get your initial taste of director Wes Anderson’s vision. The characters, with their overly long legs, run and jump, pop up here and there, and speak intelligently, like adults — unlike the characters in most kid-oriented movies. Yes, the director of such films as Rushmore (one of my all-time faves) and The Darjeeling Limited has not made a typical children’s animated film. First of all, FMF is stop-motion animation, which is less commonly used (and less popular with mainstream audiences) these days than computer-generated animation is. Secondly, it’s very adult, and very Wes Anderson (cue the title cards, whimsical score, and misfit characters voiced by Anderson regulars Jason Schwartzman and Bill Murray). No wonder the kids at the Sunday afternoon screening I saw were fidgety and seemed not quite sure what to make of it. I, however, loved the movie. It’s got great style and scenic design, an enjoyable screenplay, perfect voice performances, lots of humor, and lots of heart. It’s rare that a film with the word Fantastic in the title is actually that good, but FMF makes good on its title. The film may not be kid-friendly — parents will have to explain the many uses of the word “cuss,” for example — but adults with a sense of wonder and adventure will surely enjoy it. I’m giving Fantastic Mr. Fox an A–.